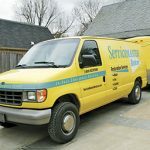 For the better part of the past two decades, ServiceMaster Quality Restoration has provided premier disaster restoration and sanitization services to homeowners and business owners in Huntersville, NC. In fact, our owners Carol and Steve McKee led us to receive the ServiceMaster Rookie of the Year award in 2002 for being the fastest growing ServiceMaster franchise in the history of the company. Our professional technicians and outstanding clients helped us achieve this early success, and we have not wavered in our dedication since then. Our technicians are all trained and licensed to provide a variety of quality restoration and cleaning services. This expertise, paired with our ServiceMaster experience and methodologies, is why we continue to be one of the most trusted names in the industry. 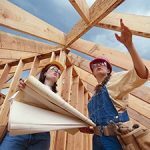 If you are a residential or commercial property owner in Huntersville, NC, in need of these or similar services, then we encourage you to give us a call. Our ServiceMaster Quality Restoration representatives are available by phone 24 hours a day to respond to emergencies, and can be reached at (704) 603-6223. Any amount of excess water on your property can cause a variety of problems in a short period of time. This can be due to flooding, burst pipes, leaks, overflows, and more, but the results are largely the same – porous structural elements of your building will be damaged, as will personal belongings, furnishings, and equipment. At ServiceMaster Quality Restoration, we provide full water damage restoration services to property owners in Huntersville, NC. Our advanced equipment and procedures allow us to extract all water, limit the damage, and restore your property and belongings to the fullest extent possible. There are various types of water damage, but sewage water is by far the most dangerous. This is because it is loaded with biohazards, pathogens, and bacteria that can cause severe negative health effects if not handled properly. This is why it is important not to try to clean it up yourself. But ServiceMaster Quality Restoration is available in Huntersville, NC to provide emergency sewage cleaning services. Our technicians are both licensed and trained to respond right away, arriving with all restoration products and equipment to extract the water, and disinfect the area. We will also take care of any structural repair needed to replace soiled building materials. At the end of the service, we will work with your insurance provider during the claims process to allow you additional peace of mind. Fires present a variety of complex challenges to property owners because of the devastation they cause, as well as the harmful smoke, soot, and corrosive byproducts they result in. Essentially, the fire should only be the beginning of your concerns, as the other elements can travel throughout your building to discolor, etch, and corrode seemingly unaffected areas. 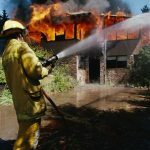 ServiceMaster Quality Restoration addresses all of this and more through our fire and smoke damage restoration services in Huntersville, NC. Using proper chemical cleaners, advanced equipment, and reconstruction expertise, we fully restore buildings and belongings of affected property owners. With an odor leftover from a natural disaster, vandalism, accident, or nuisance animal, it can be difficult to focus on anything else. In fact, it can be so overwhelming that no matter what you try, the smell just doesn’t seem to go away. If this is the case for you, call ServiceMaster Quality Restoration for professional odor removal services in Huntersville, NC. 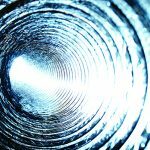 Our technicians have years of experience in removing powerful odors, especially after treating water and fire damage, biohazards, and nuisance animals. The technology we use is powerful enough to eliminate each particle from within, ensuring it won’t return in the future. Give us a call for a free estimate or to schedule your appointment! 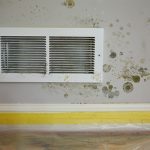 Mold growth is a troubling occurrence for property owners across the nation, because of the variety of events that result in excess moisture. This is a problem because all mold needs in order to grow is an organic food source and moisture. To make matters worse, many structural elements, such as wood, drywall, and others, can be fed upon by mold. At ServiceMaster Quality Restoration, we provide full mold remediation services in Huntersville, NC to contain and eliminate mold, and then restore and sanitize affected areas with anti-microbial treatments. This will significantly reduce the risks of structural damage and health concerns on your property. 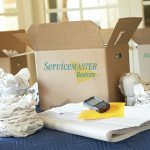 ServiceMaster Quality Restoration is a trusted provider of content cleaning and pack-out services in Huntersville, NC. In essence, we will repair, sanitize, and deodorize any of your personal belongings (such as valuables, furnishings, important documents, electronics, etc.) that were damaged by a natural disaster, severe accident, or similar event. 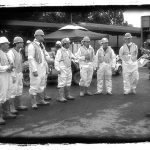 Depending on the condition of your property, we can do this on-site or at one of our secure, climate controlled facilities. In the case of the latter, we will provide you with a complete inventory of shipped belongings, as well as storage services until your property is safe to house the items again. When major disasters cause significant property damage to homes or businesses in Huntersville, NC, ServiceMaster Quality Restoration is available to provide comprehensive reconstruction services. This means that we can oversee the restoration efforts on your property from start to finish as your sole point of contact. We are able to do this through effective project management, highly talented technicians, and valuable resources and connections within the construction industry. No matter the scale of the project required, we will be able to get you back on your feet swiftly, cost effectively, and with unmatched quality. 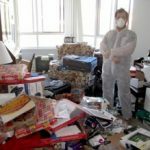 As a loved one, it can be difficult to reach out to a hoarder about their living situation. The idea of cleaning their home can often produce stress and resentment due to their anxiety towards parting with their belongings. But it’s imperative for them to understand that their current living situation is unhealthy and contains many dangerous hazards to their safety. As their trusted family member or friend, it’s crucial to explain to them that you want to improve their living situation. And after getting their approval, don’t hesitate to contact a professional cleaning service. ServiceMaster Quality Restoration has years of experience and training when it comes to hoarding cleanup in the Huntersville, NC area. Our professionals work to establish a relationship based on trust before working with them to organize the items into what should be kept, donated, and thrown out. We will also remove all dangerous bacteria, biohazards, and odors, fully returning a safe and clean environment within the home again. Finding a trauma scene is not only overwhelming, it’s extremely dangerous to everyone on the property. It’s also destructive to the building materials and furnishings, leaving behind stains and odors. The first step to take in this situation is to call the authorities to open an investigation, but they are not responsible for cleaning the area. So a professional cleaning service must also be called. ServiceMaster Quality Restoration is available in Huntersville, NC to provide emergency biohazard and crime scene cleaning services for homes and buildings. Our technicians, are experienced, licensed, and trained to remove biohazards from properties of all types. We will also use professional cleaning products to eliminate all bacteria and pathogens left behind from the biohazards. Overall, we will ensure that the area is effectively restored to its original condition while you focus on other matters.